Thanks to a worldwide response to the Ebola health crisis, Liberia was declared Ebola-free by the World Health Organization after 42 days passed without a single new case. International Medical Corps, in partnership with other aid organizations, government health officials, and local volunteers, was able to treat thousands of patients in our Ebola Treatment Units. There is still much work to be done to rebuild the capacity of Liberia’s devastated health care system. Our medical staff and volunteers will stay as long as we are needed to help Liberia recover and rebuild. 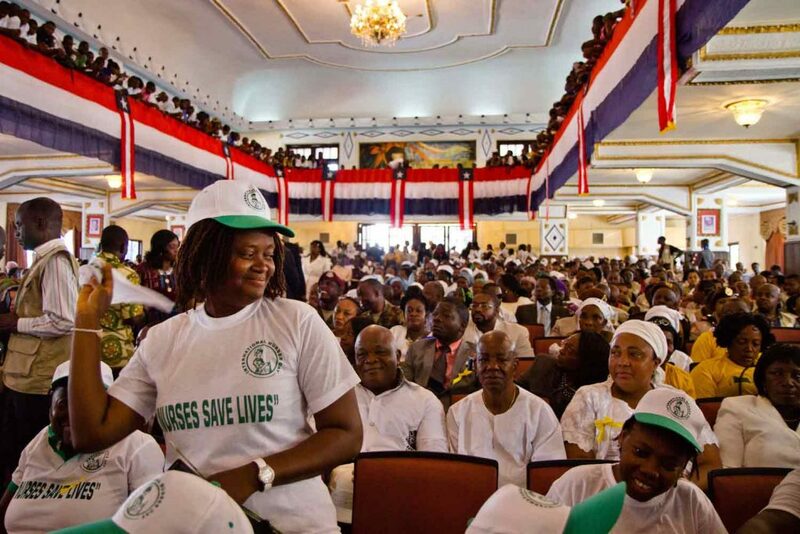 Liberians celebrate WHO’s Ebola free declaration at a ceremony in the capital city, Monrovia. Twenty-five speakers, from local community workers to the President of Liberia, each acknowledged the devastation of the crisis, the courage of those who responded and Liberia’s gratefulness to international partners. The speakers also emphasized the importance of continued vigilance and urgency to repair the many systems that were disrupted, most significantly the devastated health system. 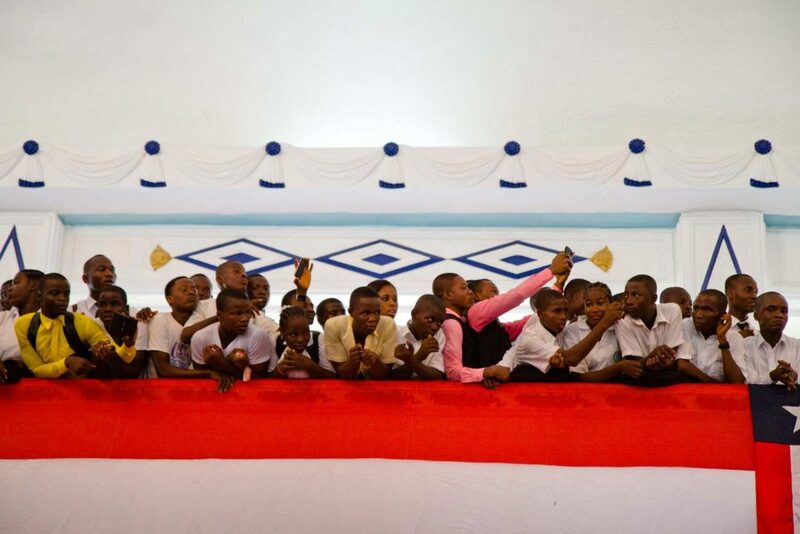 Liberians wore white on Monday, May 11, a national holiday, to celebrate the passing of the Ebola outbreak in their country. Young people were particularly affected by the outbreak as many were orphaned by the virus, changing their lives forever. 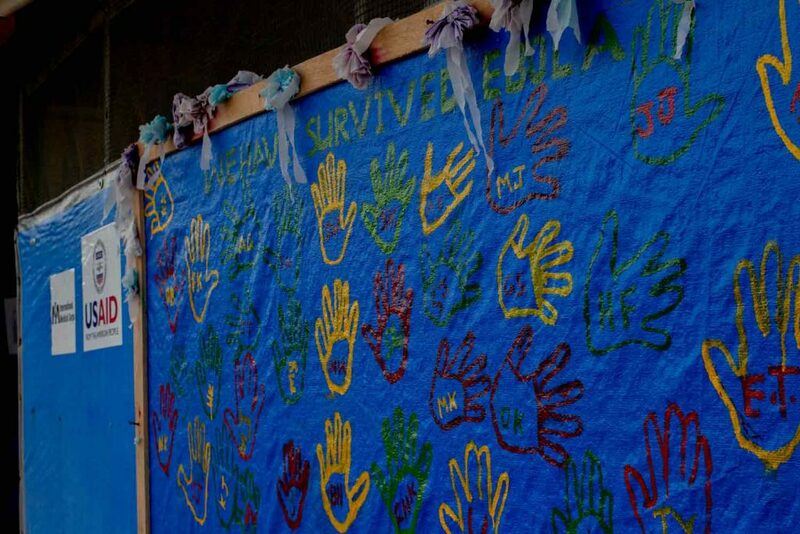 Every Ebola survivor discharged at the Bong County Ebola Treatment Unit (ETU) placed their hand print on this “survivor wall” to recognize their bravery. The Bong County ETU opened in mid-September, 2014. 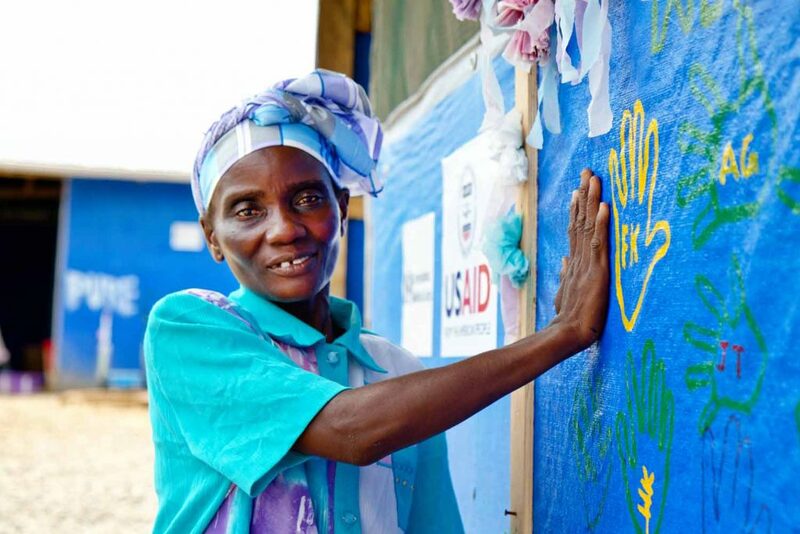 A survivor of Ebola smiles for the camera after she was discharged from the Bong County ETU and places her hand print on the survivor wall. Now that she has recovered from the disease, she is considered to be immune.